Bookmakers are wondering if one of the best Russian tennis players in 2019 will win a Grand Slam this year. None of them is currently on the top-10 of the rankings. But our betting preview shows that there are reasons to think it is possible. Russia has contributed to a lot of tennis’ talent. Interestingly, though, only since the late-90s did Russian players start to become more prominent in the sport. Yevgeny Kafelnikov, Nikolay Davydenko, Anna Kournikova, Elena Dementieva or Anastasia Myskina all achieved great results in tennis. And until this day, Dinara Safina and Marat Safin are the only brother and sister to be ranked no.1. There is no Russia leading the rankings yet and 1xBET Sportsbook is placing higher odds (1.05) on a Russian not winning a title. However, the country’s youth is very promising and they might surprise in the upcoming Grand Slams. This is one of the reasons why one of the 6 Russian players below (7.80) might win at least one of the majors this year. 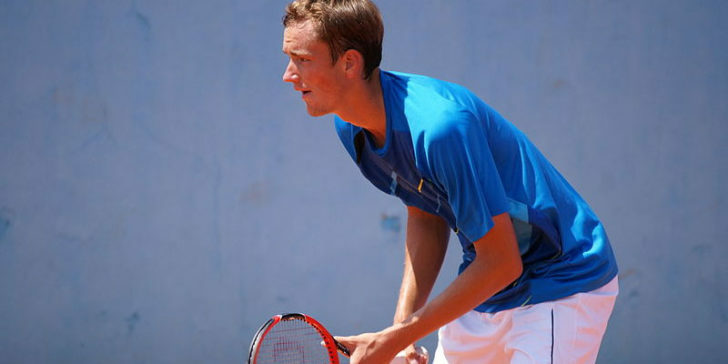 Tennis’ fans should start paying attention to the next generation of Russian players. The men below are taking over the courts and proving they are at the same level as the best-seeded players. The 23-year-old player is slowly conquering his place on the tour. This month, he achieved a career-high no.14 in the rankings. He had his best performance on a Grand Slam at the 2019 Australian Open, where he reached the 4th round. Despite losing to Novak Djokovic, he made his life difficult and the match finished in 4 sets. Earlier in January, he had reached the final in Brisbane, defeating high-profile players such as Andy Murray and Milos Raonic. In the month after, he added an ATP title to his list, by winning the Sofia Open. Since last year that the player is proving that he is definitely part of the future of tennis. 2019 is very likely to be his breakthrough year as his consistency might earn him a Grand Slam. Karen Khachanov is another player to follow in the next few years. At 20 years old, he won his first ATP title in China. Two years later, in 2018, he won his first Masters 1000 in Paris, where he defeated Novak Djokovic in the final. With the victory, he became only the 5th Russian to win a Masters. In the US Open last year, he lost in the 3rd round against Rafael Nadal in an intense match. The Spanish player was only able to beat him in 4 tight sets. Now, he reached the 3rd round in the Australian Open and the quarterfinals in Indian Wells. His good form against the tennis’ elite proves that he is a strong contender to a Grand Slam this year. Last year, he was ranked no.31 in the ATP ranking. But, as online sportsbook news sites in Russia report, he had to put the season on hold after a back injury. He has been slowly recovering from that and is likely repeat the results of his 2017 season. That year, he won his first ATP title in Croatia and reached the quarterfinals of the US Open. The 21-year-old has one of the most powerful shots in the tour and his serves usually reach 200km/h. And as he gets back in shape, he might become the first Russian player to win a Grand Slam singles in 11 years. When it comes to female tennis, Russia has one youngster who is very likely to cause a sensation this year. And along with her, there are players with experience that will be fighting to win one Grand Slam. Daria Kasatkina is a strong candidate to win a major soon. She won her first WTA title when she was only 18 years old and since then she has only been improving. In 2018, she finished the season winning the Kremlin Cup and, in the same year, was a runner-up in Indian Wells. Besides, she reached the quarterfinals of both the French Open and Wimbledon. She also affirmed herself against the best players of the circuit, such as Caroline Wozniacki and Sloane Stephens. The 21-year-old is probably the biggest Russian hope to win a Grand Slam this year and this is definitely a possibility at 1xBET Sportsbook. Maria Sharapova is not slowing down, despite the fact that many people might not believe in her career anymore. She will give her best this year, even if online sportsbook sites in Russia consider her one of the most likely players to retire in 2019. Sharapova had a one-year ban from competition due to drug use. But since she returned to the tour in 2017, that she has gradually been coming back to the top. That year, she won a WTA title and in 2018, she reached the top 25 and the French Open’s quarterfinals. Now, she started the year with an impressive win over Caroline Wozniacki in the 3rd round of Australian Open, where she showed her best game of the past 3 years. However, recently she had to skip some tournaments due to a shoulder injury. This has been a problem of hers for a few years now. But it is also because of it that she has become a sort of a master of the clay court, as it is slower. And with both the season and her return approaching, she might well win her third French Open title. Anastasia Pavlyuchenkova started her career as a promise, winning 3 Junior Grand Slams. She soon became professional and, despite some inconsistencies, has been able to surprise. 2018 was one of her worst seasons ever since she entered the top-50 of the rankings in 2008. However, this year she is already turning things around and reached the quarterfinals for the 5th time of her career in the Australian Open, after beating Sloane Stephens. This stage seems to hunt her career, but this year she is certainly willing to break the curse. She will be playing to go further in tournaments and might win her first ever Grand Slam.